It can take years to build respect, credibility and a good reputation, but only a few minutes for someone with ill-intent to come along on the Internet and try to impeach it with lies and defamation. Perhaps no one knows this better than Lenny Pozner, whose life was turned upside down when his son Noah became the youngest child slaughtered at the Sandy Hook Elementary School (SHES) on December 14, 2012. Since that day, Lenny has been one of the few parents to speak openly about the tragedy and has even offered to dispel myths created and propagated by a small but obsessive cadre of conspiracy theorists known as Hoaxers. As the saying goes, no good deed goes unpunished. Because of his forthrightness, Lenny has become the primary focus of attacks emanating from this cult-like group, whose loosely affiliated members have issued multiple death threats and leveled a host of false accusations against him, including the absurd claim that he faked his own son’s death, among other despicable and unfounded charges. Though Lenny’s candidness and willingness to confront the Hoaxers has made him one of their highest profile targets, he is by no means being singled out. Since day one of the SHES tragedy, every parent and family member who lost a loved has been subjected to varied degrees of defamation, harassment and intimidation. While the majority of those victims have chosen to stay relatively silent about the crimes committed against them, Lenny believes that speaking out and bringing attention to the Hoaxers is the best way to prevent the verbal and online harassment from escalating to acts of physical violence. 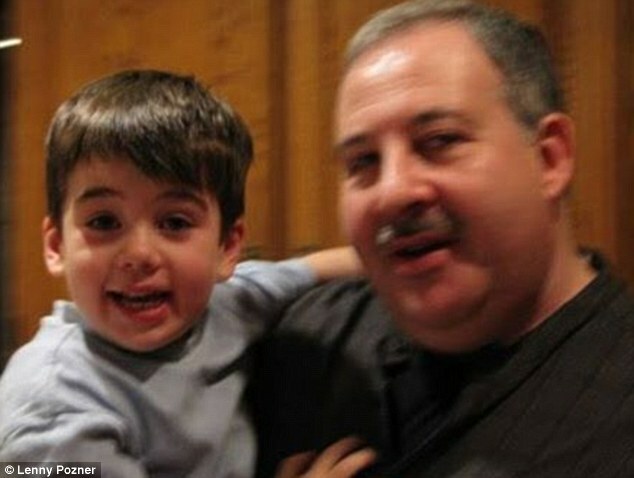 The increasingly inflammatory and worrisome Hoaxers have only aggravated an already restive situation for Lenny Pozner, whose plight has been made worse by a plethora of contributors, including irresponsible journalists playing fast and loose with the facts, dishonest members of his extended family and of course the many con-artists seeking to exploit the murder of his son for their own personal profit and self-aggrandizement. Regardless of the many obstacles in his path, however, Lenny presses forward to protect and preserve the legacy of his precious son and to help others find the courage to do the same.